Rembrandt and Rosé is Turlock's first paint and sip studio! We are a local, home grown, good ole' fashioned, mother-daughter duo business. We are excited that you are here to learn more about our business and our team. We work hard every day so that when you come to a class you can have the best experience and enjoy every second. We look so forward to painting with you!! I am Gina Blom, co-founder of Rembrandt and Rosé. I have lived here in Turlock almost my whole life and have raised my family here. I have always been an artsy person, started with sketching as a youngster and progressing into using other art mediums. I have always been very fond of canvas painting but had not done it in many years, as I worked in corporate America to support my family. When I picked up a paint brush again, with my daughter Lauren, something in me changed. I remembered how much I love to paint and how it made me feel. I captured that feeling I had when I was young and had no worries. It feels so good to paint! I want to share that feeling with you. Even if you have never painted before, let me tell you, I can teach you. I know you'll get that same feeling. I call it therapy for a lot less money. 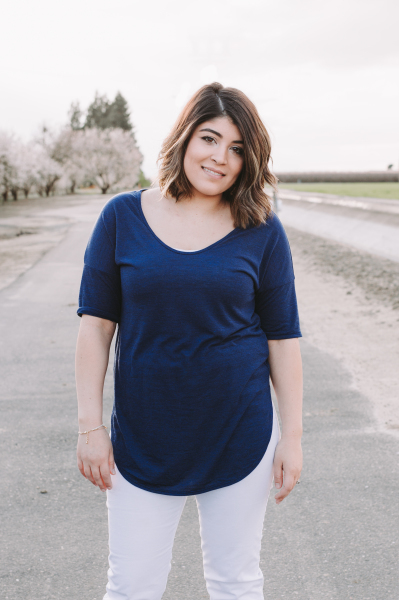 My life has changed for the better and have a very supportive husband, David, so I am able to have a beautiful little studio in the heart of Scandia Village, downtown Turlock, to teach art and a few other things. Did I mention to you I like wine too? Yes, I know a little bit about that as well. I have been fortunate to travel and learn about all sorts of different wines from around the world. At Rembrandt and Rose', we strive to give you the ultimate experience of hospitality,no paint intimidation, good music and something to take home and treasure as you let your creativity flow. Let us be your soft spot to land for a lot of fun and relaxation and a probable little sippy. Hello! My name is Lauren and I am a co-founder of Rembrandt and Rosé and Gina's daughter. Ever since I can remember I have been fascinated by the fact that my mother could do anything she put her mind to! She was the true definition of a smart, independent woman. I wanted to be just like her when I grew up. I can still recall when I was a little girl, the first house I lived in was completely painted by my mom. On our patio cement we had a beautiful mosaic design leading to our pool and in the garage there was a wonderful snow-filled scenery complete with a sled and redwood trees! It was truly magnificent to know that my own mother painted that and possessed the creativity to do whatever her heart desired on her own! For the rest of my childhood we would spend our holidays going to the local ceramic store and picking our favorite pieces, taking them home, and turning them into our own masterpieces. Every year our art would be displayed in our home and our faces would light up with joy and pride when looking at our improvement through the years. Growing up in a home where my creative side was fed allowed me to flourish and excel not only in an artistic sense but in an academic fashion as well. After graduating high school I attended college locally and graduated with my bachelors in Political Science. I am currently perusing my degree in nursing along with teaching classes here at Rembrandt and Rosé. 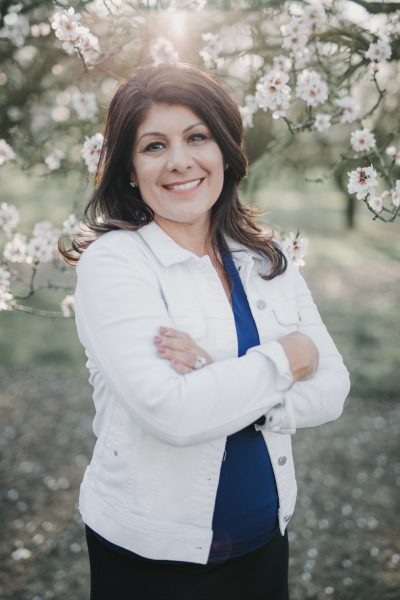 I am extensively involved with my family, friends, and the Turlock community. I have a two year old son who will be going to preschool in the Fall and a handsome husband that supports all of my and my mothers crazy, exciting, and adventurous ideas. I could not be any more grateful for this opportunity to teach people how to have confidence in their own artistic ability. In my opinion, helping others is what makes the world go around and I am excited for my opportunity to do so! I look forward to painting with you, having a drink with you, and getting to know you!